Hello friends! Here are 3 sexiest holiday & Christmas eye makeup tutorials. These are super easy to do, you will be expert in no time. Its time for Christmas, New year and holiday parties. This is not only the time to get Christmas/ holiday outfits, beautiful shoes, selecting trendy hair style, holiday nail art but also the time to choose best makeup style to attain chic elegance. This time is to put on more shimmer, glitter, jewel tones, perfect eyeliner and red lips. 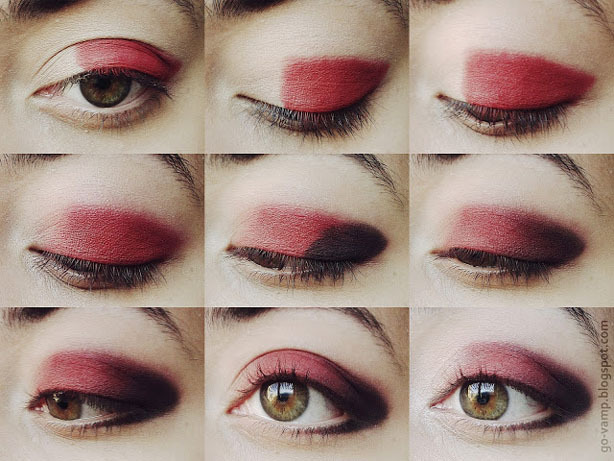 Here, are the 3 most inspiring holiday eye makeup tutorials to pump up your looks. Try blue (sapphire blue/cobalt blue) eye shadows as blue is the color that everyone can try, it goes well with blue, green/grey eyes. Opt for blue eye shadows to spice up your holiday party looks. 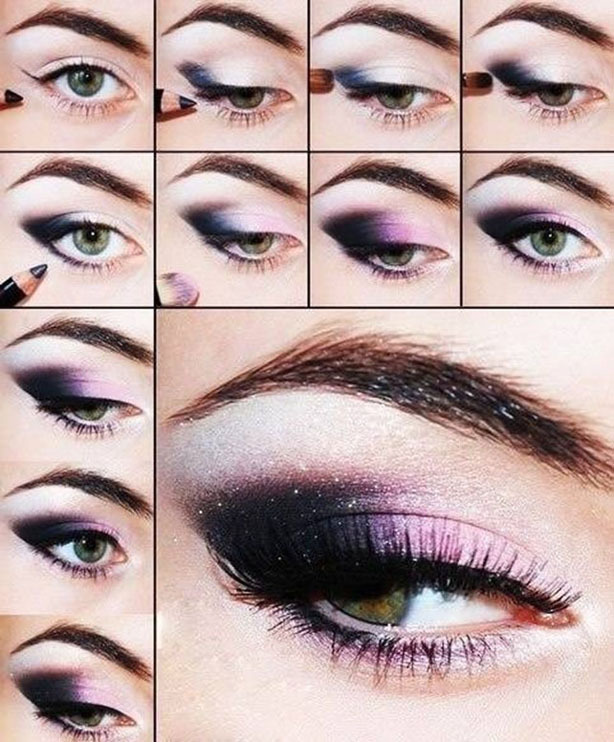 Have a purple eye make up for Christmas party or holiday parties, to look sophisticated. This eye shade go well with all eye colors and skin tones. Red eye shade is to make eyes more prominent but this shade is not perfect for all eye colors and skin tones. Ladies with medium to dark skin tones can apply this to gain radiant looks.